'Import' can be assigned within a 'Package Diagram' via drag-and-drop. Both the "to-be" parent and child 'Package' constructs must be added to the diagram first, before import can be assigned. When the child 'Package' box highlights green, release the left mouse button over the 'import' section to add a related to relationship. 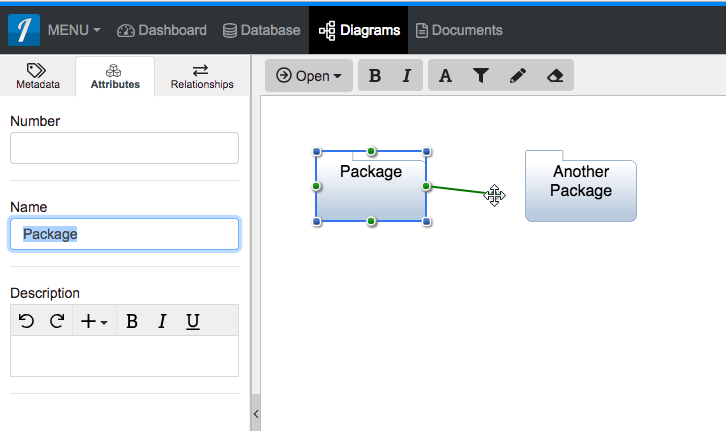 Once added to the diagram, the new relationship should appear as a dotted line with a directional arrow from the parent to the child 'Package' construct. 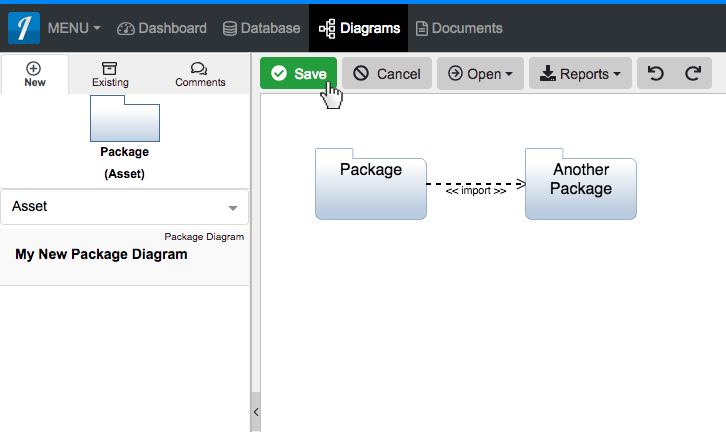 ‘Import’ can be assigned within a ‘Package Diagram’ via drag-and-drop. Both the “to-be” parent and child ‘Package’ constructs must be added to the diagram first, before import can be assigned. When the child ‘Package’ box highlights green, release the left mouse button over the ‘import’ section to add a related to relationship. 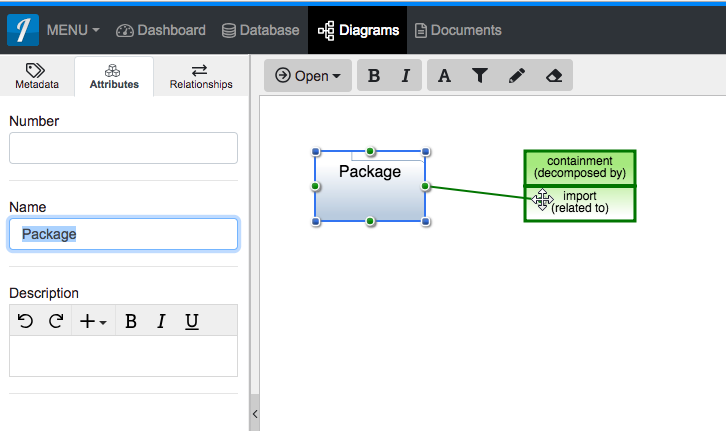 Once added to the diagram, the new relationship should appear as a dotted line with a directional arrow from the parent to the child ‘Package’ construct.